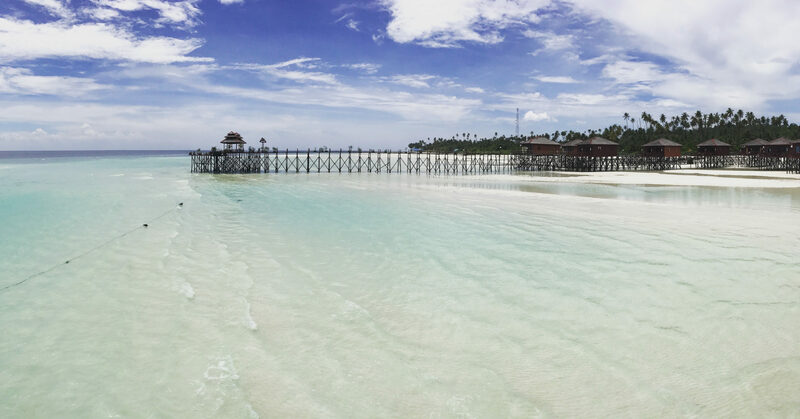 In 2014, we chose to fly from Bali to Lombok to avoid the fast boats travelling over to the Gili islands. We hadn’t heard very good things about the fast boats and I was particularly concerned about the safety of them after hearing some horror stories! Although there was the usual heavy traffic in Bali, we made it to the airport in plenty of time for our short 30 minute flight to Lombok. 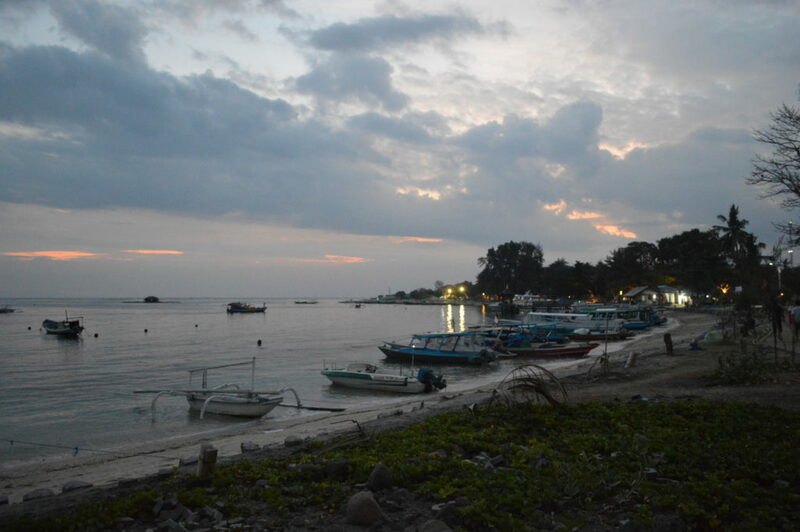 It was easy to find our pre-arranged transfer when we arrived and we then enjoyed a quieter car journey through Lombok up to the port at Teluk Nara (smaller port along from Bangsal). We saw our first monkeys on the car journey as we went through “monkey forest” and then jumped on a speed boat to get across to Gili Trawangan – the final part of our transfer. Definitely felt like a Bond girl! Although in total our journey may have taken slightly longer than catching a fast boat (which takes around 90-150minutes… provided there are no complications), it was simple, easy and actually not too expensive. The flight from Bali to Lombok was only around £30 with Garuda Indonesia. 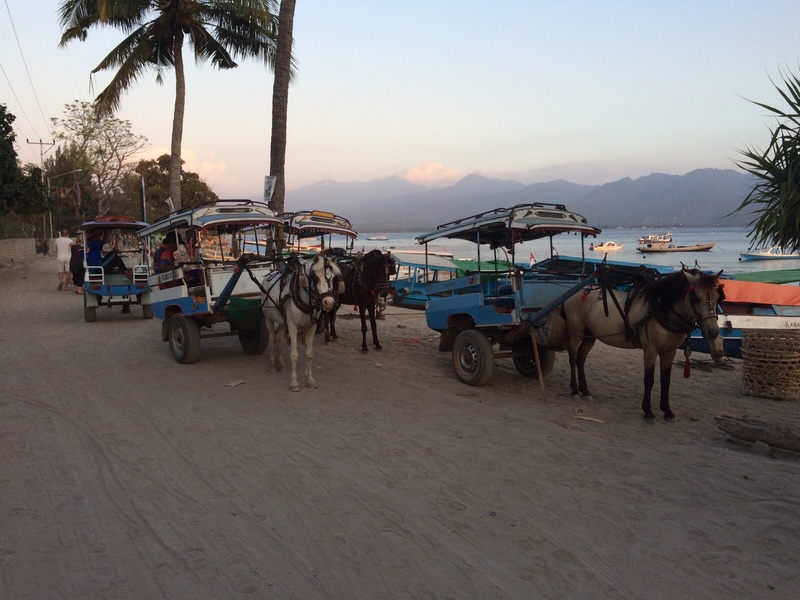 There are no cars on Gili Trawangan and we had suitcases rather than backpacks (rookie error!) 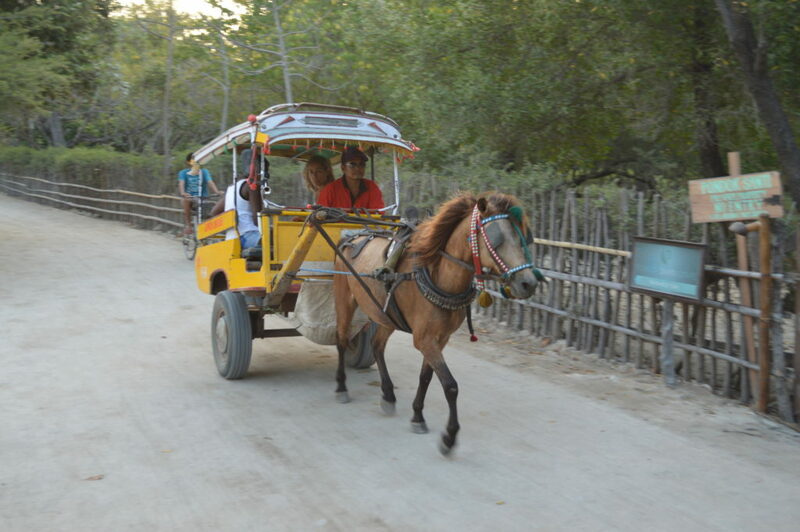 so we got a horse and carriage from the “port” down to the Ko-ko-mo. 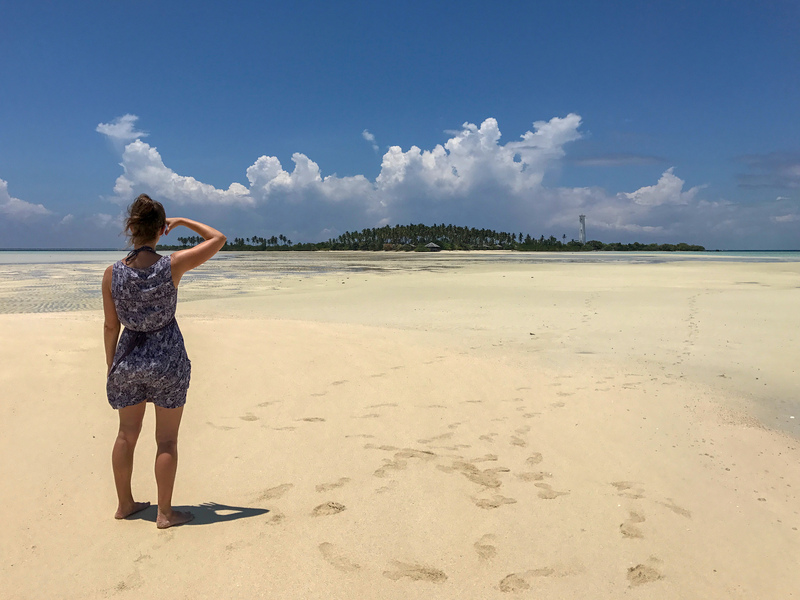 We spent 4 nights on Gili T before catching a public boat over to Gili Air, it wasn’t too far and a bargain at £1.50 each! 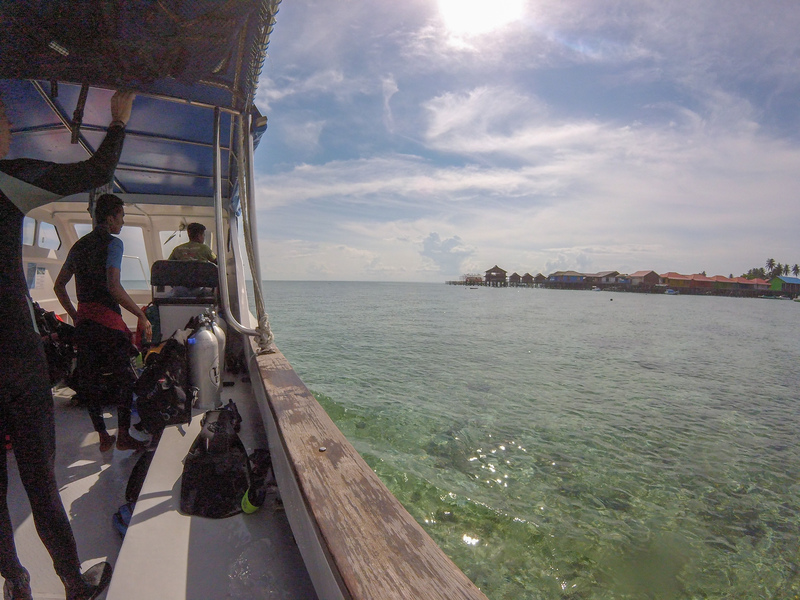 When we arrived at the harbour we wheeled our cases round to our accommodation at Manta dive … wheels definitely ruined! We only had 3 nights at Gili Air before we were off again, ready to spend some time on Lombok. Rob had negotiated some cut-price “private transfer”, however the boat contained quite a few locals (we had basically paid for their journey too!) The car drivers also swapped just outside the port to leave us with some bad English-speaking crook who spent the whole journey muttering to himself and trying to persuade us to stay in Kuta, Lombok rather than Selong Belanak! The journey was pretty windy and I don’t normally get car-sick but I began wishing I’d taken a travel sickness pill! 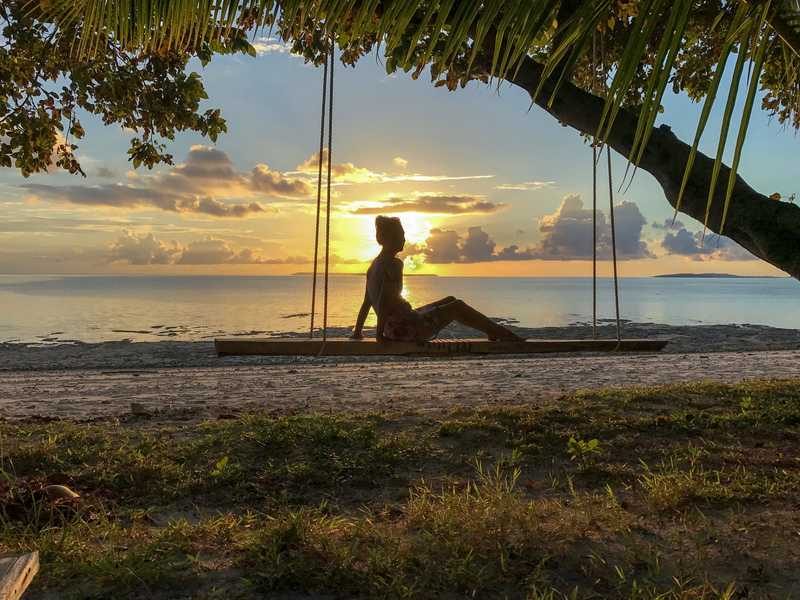 We stayed at Sempiak Villas on Lombok, the most incredible place – we really didn’t want to leave after our 4 nights here, but we were excited to be heading back to Bali – travelling more inland to Ubud this time. Lombok is an international airport so if we didn’t want to head back to Bali, we could’ve organised our flights back to the UK from here. In hindsight I would now probably go to Bali, the Gili islands and then finish my trip in Lombok (which is well worth a visit) and just head home from here. Definitely saves the flight/fast boat back to Bali dilemma. Selong Belanak was only about half an hour away from Praya airport and since the flight was only 30 minutes, we were soon on our way to explore Ubud. The car journey to Ubud from Denpasar airport took about an hour and a half but it was well worth the trip! In 2015, we started our holiday in Lombok before heading over to Gili Air. Our next destination was Nusa Lembongan (a small island near Bali). It would’ve been very long-winded and complication to fly this time so it seemed there was no avoiding the fast boats! I just wish we had done some research before we booked with Scoot cruises. DO NOT GET ON A SCOOT FAST BOAT! It seems so stupid now I look at all the bad reviews but we just presumed all the fast boats would be providing the same quality of service. Rookie error! Scoot were the only boats advertising a direct boat from Gili Air to Nusa Lembongan (without going via Bali). However, our boat didn’t arrive at Gili Air, so we were ferried by a local boat to wait at Gili Trawangan. After just being dumped on the beach with no idea how long it would take for the boat to arrive, we were finally told the scoot boat was broken and they were sending a replacement from Bali. Eventually we were off… but also with passengers for Bali so we didn’t get a boat direct to Nusa Lembongan after all. 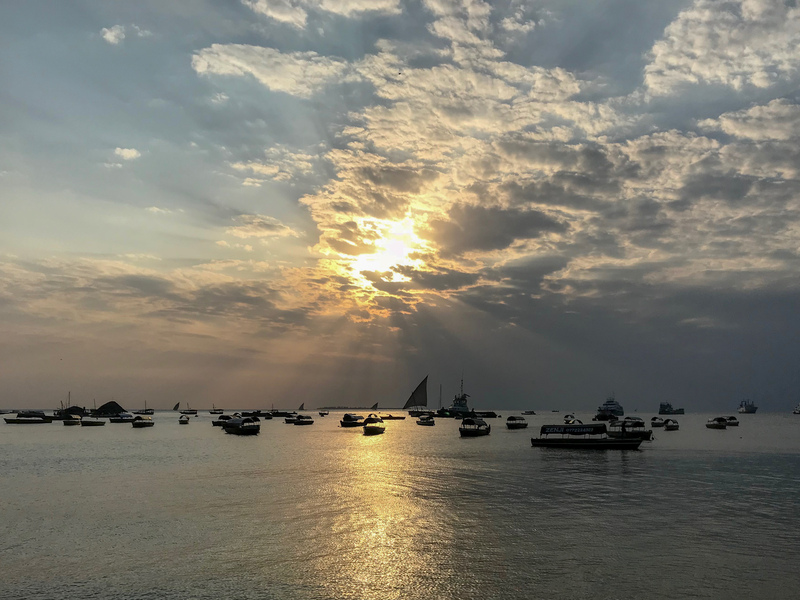 By the time we finally arrived in Bali it was starting to get dark and it was touch-and-go about whether they would even get us to Nusa Lembongan as we were now waiting on a different boat! When we left it was pitch black and we were blindly making our way to Nusa Lembongan with a very stressed captain. It was pretty frightening. We hit the bottom 4/5 times before we finally got close enough to shore that we could wade in! What should’ve been a 2 hour journey had taken around 10 hours, so maybe flying would’ve been the better option. However, we did get a Rocky fast boat back to Bali afterwards and it was absolutely fine. 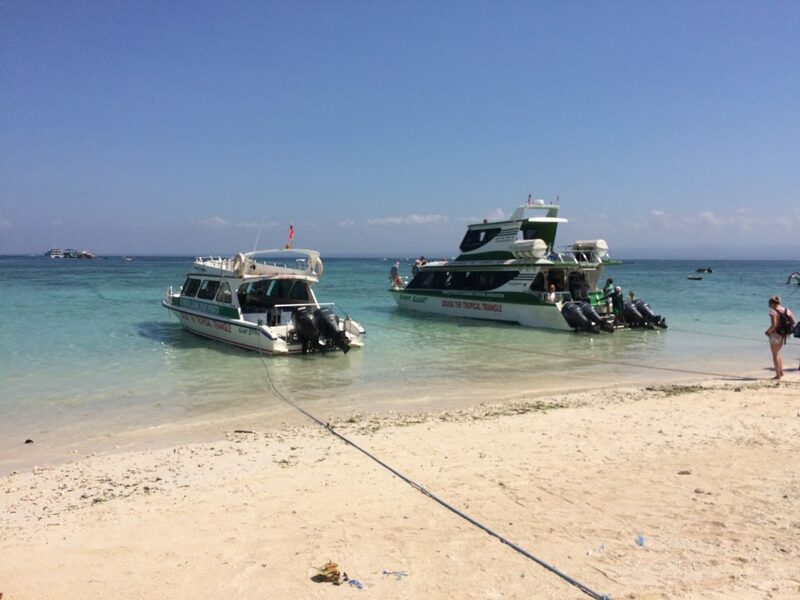 Recently we’ve also seen Gili Getaway providing an excellent service that swings by Gili Gede. So there are some much more reliable options available… but I still think I will stick to flying when I can! It is also worth mentioning that most of the fast boat providers will also organise a taxi service as part of their transfer package. However this does often mean getting in a mini bus with lots of other people heading in a similar direction and getting dropped off in turn at various hotels. Pick your own pumpkin farm, Dorset!